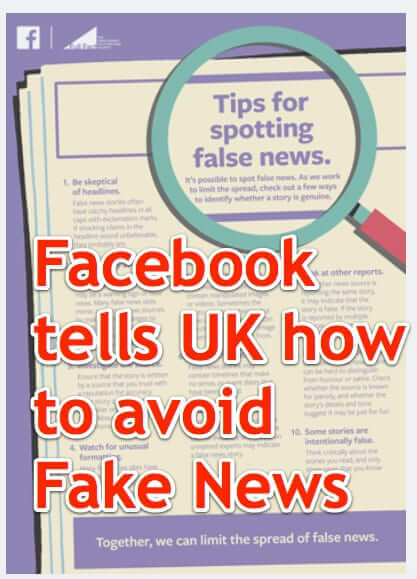 Facebook has taken out a full-page “Tips for Spotting False News” ad in British newspapers, telling people how to spot and avoid fake news ahead of the UK general election. 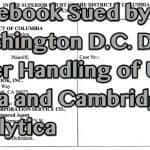 Facebook has also been deleting tens of thousands of fake Facebook accounts that were created solely to spew false news stories, particularly ahead of elections. 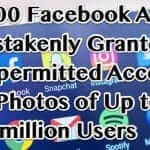 In fact, Facebook has said that ahead of this week’s election in France, they removed more than 30,000 accounts that were spreading fake news stories that could have (and were likely intended to) influence that election. The papers in which the ‘how to spot fake news stories’ advertisement appears include the Times, the Guardian, and the Daily Telegraph. Below is the full text of Facebook’s full-page advertisment in the British papers, but first we want to remind our readers that they can see a visual representation of how any fake news story is spreading (or was spread) by using the awesome Hoaxy fake news visualizing service. 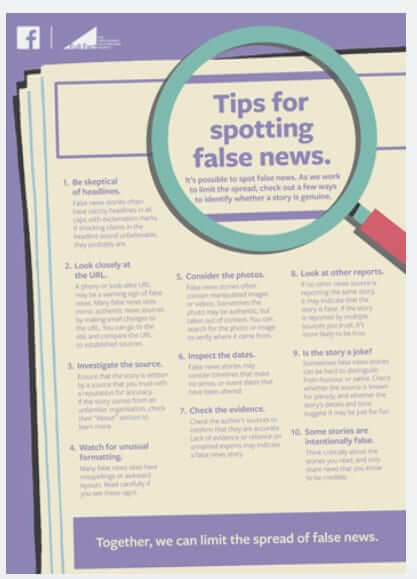 Facebook has taken out a full-page "Tips for Spotting False News" ad in British newspapers, telling people how to spot and avoid fake news ahead of the UK general election. 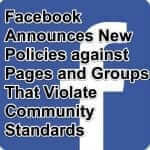 Facebook has also been deleting tens of thousands of fake Facebook accounts that were created solely to spew false news stories, particularly ahead of elections. In fact, Facebook has said that ahead of this week's election in France, they removed more than 30,000 accounts that were spreading fake news stories that could have (and were likely intended to) influence that election. A full-page newspaper ad? 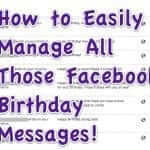 How twentieth-century!